Heemer, Klein & Co., CPAs is a full-service accounting firm serving clients throughout Richmond, Sterling Heights, Warren, and the entire southeastern Michigan area. We are dedicated to providing our clients with professional services, tax management services, and personalized guidance in a wide range of financial and business needs, including business accounting and estate tax planning. For your convenience, we offer two full-service business and personal tax accounting offices as well as tax management and tax preparation services. So, if you're looking for an accounting firm Sterling Heights or a CPA Richmond MI, contact Heemer Klein for reliable advice and impeccable service. On this website, you will find information about Heemer Klein & Company, CPAs, including a list of services we offer ranging from accounting to tax services to small business start-up services. We also provide you with online resources to assist in the tax preparation process and financial decision-making. These tools include downloadable tax preparation forms and publications, financial calculators, news, and links to other useful sites. Whether you are an individual or business, Heemer Klein & Company, CPAs has years of valuable experience assisting professionals with their accounting and tax needs, including estate taxes. 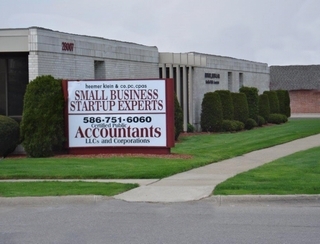 We are CPAs with locations in Sterling Heights, Warren, and Richmond. We believe in the value of relationships. We view every client relationship like a partnership, and truly believe that our success is a result of your success. We are committed to providing close, personal attention to our clients. We take pride in giving you the assurance that the personal assistance you receive comes from years of advanced training, technical experience , and financial acumen. Our continual investment of time and resources in professional continuing education, state-of-the-art computer technology, and a vast array of business relationships is indicative of our commitment to excellence. We have been a staple of the Southeastern Michigan business community for almost 50 years, and pride ourselves on the level of esteem we have earned. Our dedication to hard work has earned the respect of the business and financial community. We believe this to be a direct result of our talent and responsiveness to our client base. Whether you are a current or prospective client, rest assured that individuals and businesses who choose Heemer Klein & Company CPAs receive expert and timely advice. We are a tax-focused firm determined to help you attain your business goals and reduce all levels of taxation to the lowest legal possible amount. Save both time and money by trusting Heemer Klein & Company, P.C. for accounting services and expert tax preparation. We understand that open communication, thorough research, and sound analysis are vital components in understanding and meeting our clients' needs. Heemer Klein & Company, CPAs is dedicated to meeting these needs with high standards of excellence and professionalism. We have tax preparation and consulting offices located in Warren, MI, Sterling Heights, MI and Richmond, MI. Contact us with all of your accounting and tax preparation needs.We are Macomb County CPAs.